I guess I'll start this off with my record-speed post-con report which you can find right here!!! Basically, better then last year, much more organized, love the cobo center, great programming, plenty of photoshoot and video put to my memory card. Lots of creative cosplays as well. Give it a read and check the photos! While it was easily the most fun we've had a Youmacon, the staff where super disorganized and no one knew what to tell us about our various questions. There wasn't information available online as to the hours to the dealers hall and artist alley and we didn't know the registration was at Cobo until we arrived at the Ren Cen and had to ask a random cosplayer about it. No signs where up. No staff available. Hey guy's I am not really sure where else to post this. [URL="http://crimzonechidna.tumblr.com/post/66026475614/okay-guys-i-know-tumblr-has-helped-others-find"]Someone lost their anxiety comfort item at Youmacon[/URL]. If anyone knows where it ended up or has it themselves the OP is willing to pay to get it back. If you could keep an eye out for it, it would be much appreciated. feel free to tag if it will allow! Well the uploading of images is far from over but can find pictures my group and I, Lockport Expeditionary Force, took in the albums section here [URL="https://www.facebook.com/pages/Lockport-Expeditionary-Force/191723767572772"]https://www.facebook.com/pages/Lockport-Expeditionary-Force/191723767572772[/URL]. Three galleries for Youmacon 2013 are up already and the remaining sixish should be up withing the next five days or so. Feel free to tag yourself or request to have the non facebook compressed image of your cosplay messaged or e-mailed to you. I just uploaded a bunch of random shots from Youmacon 2013, all taken at Wintergarden and Riverwalk. Group shots are usually 1600x1200; just right-click and "view image" to see them full size. P.S. 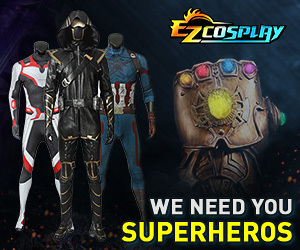 Thank you Cosplay.com for allowing larger images in the galleries now.